Arnold Schwarzenegger is back, again. He must have gone a little heavy on the spray tan and make-up because his face looks like a tanned piece of aged leather, but he’s back. I held off seeing this movie in the theatre because I was not sure if Ahnuld could pull this one off. 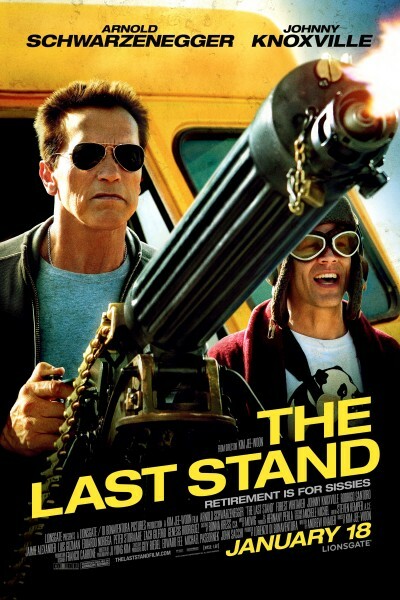 The Last Stand is about a drug lord that escapes from protective custody and heads for the Mexican border. The only thing standing in his way of freedom is small town Sheriff Ray Owen (Schwarzenegger) and his band of misfit deputies. The film is directed by Kim Jee-Woon and the rest of the noteworthy cast includes Forest Whitaker, Johnny Knoxville, Luis Guzman, Peter Stormare, Eduardo Noriega, Jaimie Alexander, Zach Gilford, and Harry Dean Stanton, and Genesis Rodriguez. 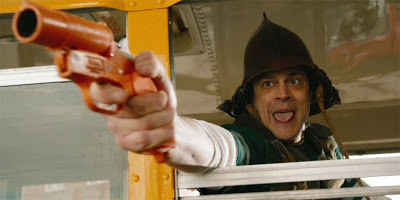 The film does not have a lot of character development, but there is a bit of stupid comedy and tons of action. The special effects are actually quite good and they help to make the film enjoyable. There are endless car chases, bullets are flying, people and things are exploding, blood is spattering, and fans of 90s action movies are applauding. 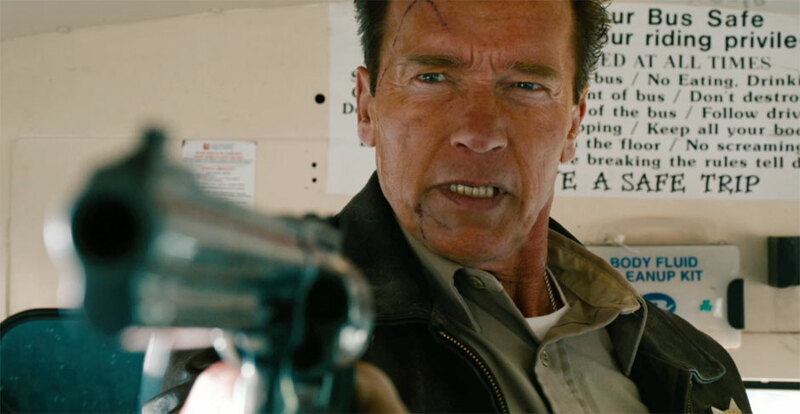 Schwarzenegger, Knoxville, Guzman, and Stormare all make this action movie more of a comedy not to take too seriously. Whitaker seems to be the only person in the film taking his part seriously and it fits his character like a glove. Overall, the film was better than I expected it to be. It’s a bit predictable at times, but for the type of movie that it is, that is to be expected. It certainly seemed like they had fun making it. 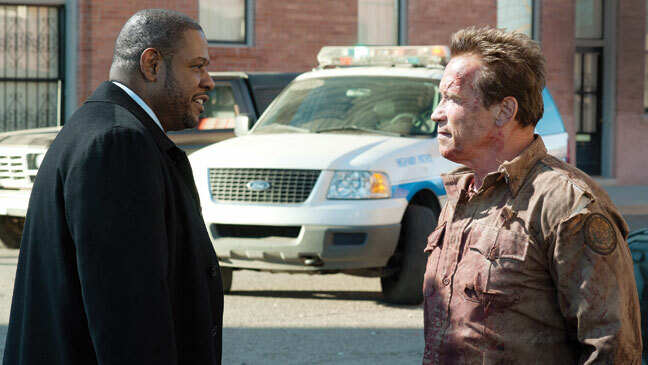 Even though Schwarzenegger looked a little goofy, he pulled his character off quite well and it was fun to see him acting again. Posted on August 13, 2013, in Action Movie Reviews, Comedy Movie Reviews and tagged A Good Day to Die Hard (2013), Arnold Schwarzenegger, Bullet to the Head (2012), Eduardo Noriega, Forest Whitaker, Genesis Rodriguez, Harry Dean Stanton, Jaimie Alexander, Johnny Knoxville, Kim Jee-Woon, Luis Guzman, movie, Peter Stormare, Ray Owen, The Last Stand (2013), Zach Gilford. Bookmark the permalink. Leave a comment.